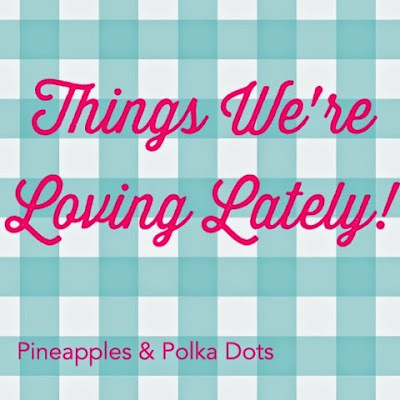 Pineapples & Polka Dots : Things We're Loving Lately: Nest Protect, Sistema Containers, AsianSalad, and more! Things We're Loving Lately: Nest Protect, Sistema Containers, AsianSalad, and more! 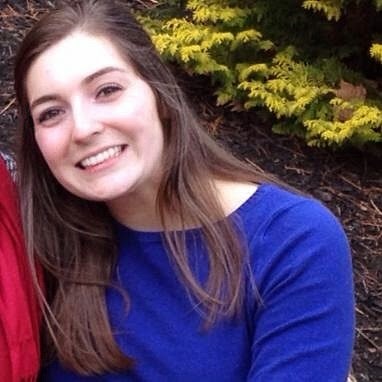 This week, I wanted to share some more of the things we love! I'm a firm believer in leaving good reviews, and spreading the positive word when it's deserved. All too often, people only share negative experiences! I always look for positive comments and recommendations from people who have loved a product. First up is our Nest Protect smoke detector and carbon monoxide detector. We installed a woodstove in our house in December, and I was pretty adamant about ensuring that we had our safety bases covered 3 times over. Rich found the Nest Protect online, and ordered it right away. Basically, it's a smoke and CO2 detector, either battery powered or hard-wire capable, which can warn you of it gets a hint of smoke or a lot, via talking out loud, alarm, and smartphone notifications. Using your WiFi, you can connect to the free Nest app on your smartphone, and it will alert you via notification if there is an issue. For us, since Rich works super close to home, if there was an issue, he could rush home to take care of it. I like the idea that we know things are okay while we're away, by checking in with the app. It lets you know that everything is as it should be. In the interest of full disclosure, it took a while for us to make this work well. We initially installed it at the top of our stairs, which is close to the bathroom door. It went off frequently while we were showering, even though we had supposedly set it up to recognize that it would be near steam and to not confuse steam with smoke. Rich ended up moving it downstairs, and going off without reason was still an issue. (No other dectectors in the house- smoke or CO2- were going off). We had read some mixed reviews online, and this seemed to be a common issue. Many people suggested sending it back and getting a new one sent. Rich called Nest, and was pleased with the customer service. They sent a new one with no issue, and it has been much more well behaved! We'd had no issues, and it is giving us, me especially as the family worrywart, tons of peace of mind. Our dog, Lucy, is terrified of the smoke detectors going off, so I would hate to have them go off while we were gone and us not know for hours. This way, we are assured that all is well! Some other things I'm loving lately are my Sistema To Go lunch and snack containers. They are BPA free, dishwasher safe, and perfect for lunch! I love my Pyrex containers, but glass is heavy and, obviously, breakable, so we use it more at home. I have a few different Sistema containers, and use them all the time! I use the salad container, the two-part container, and the two cup container each almost every day. I love the bright colors, and they've held up really well over time. 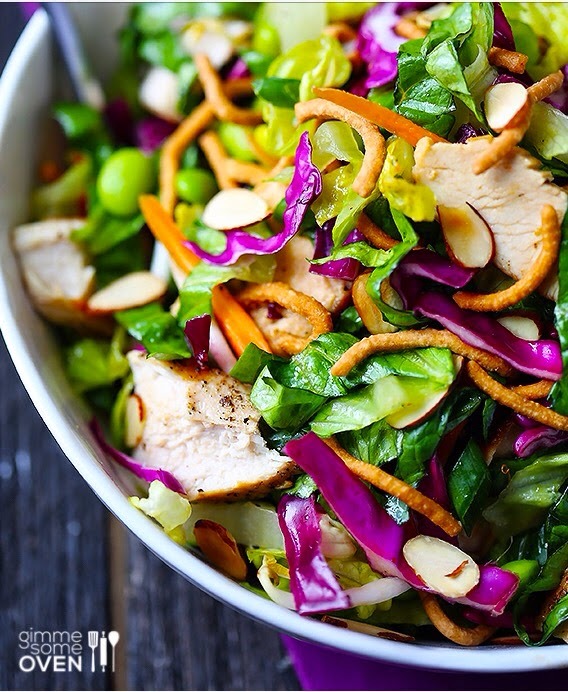 Speaking of salad, I've been really into Asian-inspired salad lately! 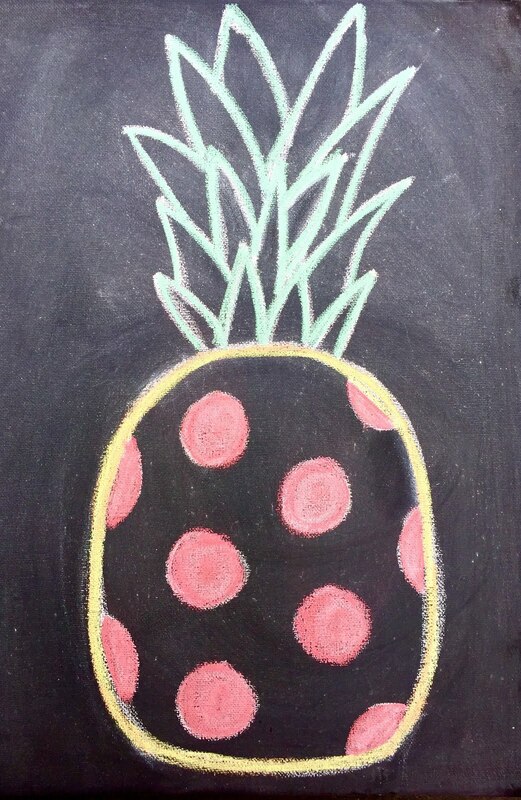 What we make is loosely based on this recipe on Pinterest. I'll have to post our version sometime! I love salads at lunch time, and this is my recent favorite for sure. It is made up of lettuce, cabbage (I often use both purple and green), an Asain ginger soy dressing, and crunchy chow mein noodles. If you want to add some protein, it's great with grilled chicken or leftover breaded chicken. We often toss in pepper slices or other veggies we need to use up from our produce drawer, too. Yum! 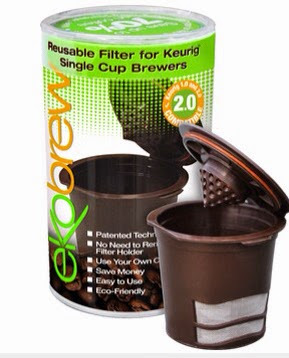 Since we're talking about food, another thing I'm really into is our EkoBrew reusable K-cup. We love our Keurig brewer, and the customization it allows. Because we like to drink different coffee (I prefer light roasts, and Rich prefers dark), it works well for us. What I don't like is the waste that comes with K-cups, not to mention the expense. I felt guilty spending so much on coffee, and throwing away a cup or two per person per day (since they are still not recyclable). We tried using the reusable cup which came with the Keurig, but didn't think it worked well. After doing some research, we found and ordered the EkoBrew, and it's perfect for what we need! You can spoon in however much coffee you'd like (you can experiment with how much you need for the size cup you want, and strength of flavor you're going for), and pop it right in the Keurig. When finished, it's easy to dump out the used ground and then rinse the cup in the sink. Yes, it's an extra step, but it takes all of 30 seconds. Our EkoBrew cup gets tons of use, and has held up really well. We can choose whatever coffee we want, it's much less expensive, and we're not creating the waste we were before. If you have a Keurig, I can't recommend this enough! As a disclaimer, make sure if you have a newer Keurig, you purchase a compatible cup, our machine is a few years old, and this cup works for us. Finally, I'm really into the days getting longer! It is so nice to leave school in the sunshine, and as soon as this crazy cold spell is over, I can't wait to get Lucy out for evening walks again! It's been really cold and super windy here this week, but hopefully soon, it will be at least tolerable. After all, that's moving in the right direction toward Spring weather! So, what's Rich loving lately? Sour Skittles. He's always been a Skittles fan, but especially loves the sour ones right now. He's also really into baseball! Rich is beginning the baseball season, and is coaching at his high school (if you're keeping track, it's the third sport this year!) It's been a few years since he has coached baseball, and he is excited to get back into it! I'm looking forward to sunshine and watching his team play, but there are a couple of feet of snow that need to melt before that can happen! They have a beautiful field, and I'm excited for the season! What are you really into right now? Let me know in the comments below- I'd love to scope it out! Have a great Friday! Happy first day of Spring, as well!